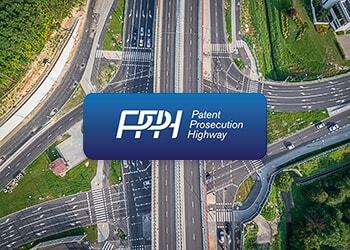 The Global Patent Prosecution Highway (GPPH) pilot program expanded as of January 6, 2018. The 25th participant of the GPPH is the Visegrád Patent Institute, which is an organization established by the patent offices of the Czech Republic, the Republic of Poland, the Slovak Republic, and Hungary. The Institute was created in 2016, aiming not only to serve the purposes of the PCT system as ISA and IPEA but also to become an important link between the patent authorities of the Central and Eastern Europe as well as Baltic countries. In the meantime, the national patent offices of Poland and Hungary have already joined the GPPH pilot program, while the patent offices of the Czech Republic and the Slovak Republic are not participants thereof. Although the details of the GPPH implementation in the Institute are unknown yet, it is expected that expansion of the pilot program to such an intergovernmental organization will make the patent prosecution considerably easier and faster for the applicants. Besides, the European Patent Office (EPO) prolonged PPH pilot programs with the intellectual property offices of Canada, Mexico, Singapore, and Israel for another 3 years, with effect from January 6, 2018. Due to a series of bilateral agreements signed by the relevant Offices back in 2014/ 2015, the fast-track examination will be available on the same conditions without any significant changes enabling applicants to obtain their patents more efficiently. You are welcome to visit our applicant’s guide for more information on the IP prosecution worldwide. Besides, you may easily get accurate quotes for various registrations via our quotation system at any time convenient for you.